This week we can't stop listening to Blue Roses (a.k.a. Laura Groves) e.p. 'Does Anyone Love Me Now?' as it provided the perfect soundtrack to making summer plans. 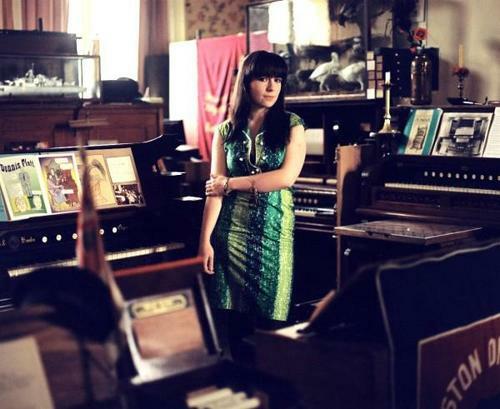 Based in Bradford she 'writes songs for instruments she can't play yet and makes choirs out of her voice'. The result of this being a collection of beautiful songs about a range of female characters with a voice comparable only to (Her Royal Highness!) Kate Bush. Blue Roses is currently recording new music and with female singer songwriters being so popular, here's hoping she comes back with something that finally makes her the star she deserves to be. You can watch a performance of 'Does Anyone Love Me Now' here and she also has a self titled album out now.